The Increase in Deforestation in the Amazon in 2013: a point off the curve or out of control? Environmental organizations analyze the increase of deforestation in the Amazon in 2013. Since 2006, deforestation rates in the Amazon have been consistently falling. 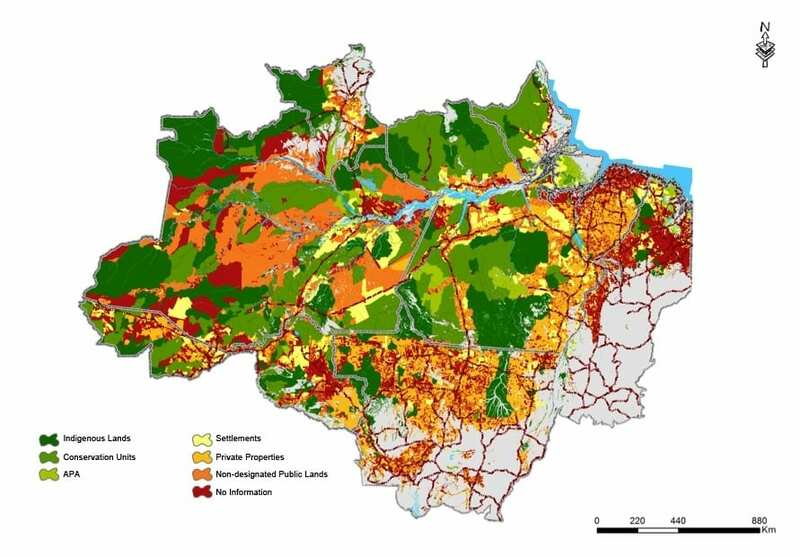 In 2013, however, a 28% increase in Amazon deforestation placed Brazilian society on alert. That increase must be considered unacceptable, both because of its largely illegal nature and because of the fact that there is already a large area in the region that is already deforested but underutilized, and that Brazil already possesses the fundamental elements for combatting Amazon deforestation. With the objective of reflecting on the causes that led to this deforestation and stimulating a reaction by the Brazilian Public Sector, the Institute for Environmental Research in the Amazon (IPAM), o Socioenvironmental Institute (ISA) e o Institute of People and the Environment of the Amazon (IMAZON), present in this document their reflections on the increase in deforestation that occurred in 2013 and put forth a series of recommendations for moving forward with reductions in rates of forest destruction in the Amazon. The combination of established and proven strategies for control with other innovative ones must be the may forward for the rate of Amazon forest destruction to continue on its downward trajectory. For example, it will be necessary to continue (1) enforcement focused on the municipalities that concentrate the highest rates of deforestation, with (2) creation of mechanisms for holding liable buyers of products derived from illegally deforested areas (3) going forward with disseminating the list of areas embargoed by Ibama and (4) press ahead with actions by the Public Prosecution Service against companies that by products derived from illegal deforestation. From the point of view of innovation, it will be vital to advance in (5) economic incentives for conservation and for reduction of speculative deforestation, as well as encouraging forest recomposition and regularization. Such incentives could encompass tax measures, through a revision of the federal government’s taxation policy. In this regard, the analytical document on deforestation in 2013, launched by the institutions signing below, represents a first step towards a deeper reflection regarding the factors that still make reducing deforestation in the region a challenge. Therefore, these institutions place themselves at the Government’s disposition for an in-depth debate on the results and recommendations herein presented.